Critics of the golf industry often focus solely on broad issues that only identify problem demographics. 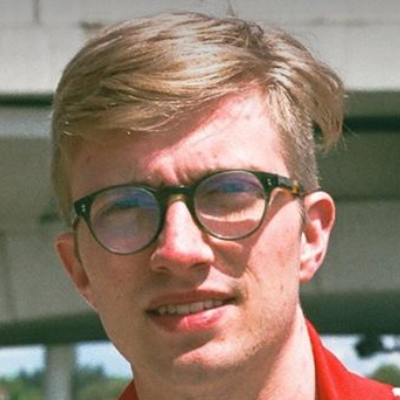 They complain that marketing strategies aren't up to date and that they can't find healthy ways to balance how millennials want to experience golf with an older clientele that has long played the game. The thing is, we rarely talk about concrete strategies that almost any golf course can adopt. So let's talk about an idea that golf managers at golf courses private and public should be considering. If we want to generate passionate players of the game who live and breathe golf, we need to foster development from a young age. Kids camps and lessons help with this, but they don't expose the game of golf to masses of children. In reality, attendance at these camps is reserved for kids who grew up in golfing families where Dad has a membership and is involved enough to want his kids to get into the game. What about all the other families where golf is not as much part of the lexicon? How do we capture the minds and imaginations of children from families that don't golf? Perhaps, one way to easily address this problem is by partnering with local schools (public or private) to institute a golf module as part of regularly mandated PE classes. Adopting this strategy will have a much greater effect on increasing the number of golfers in the millennial generation. If you don't believe in the idea ask Tom Loegering, Head Professional at Sun City Country Club in Sun City, Arizona. 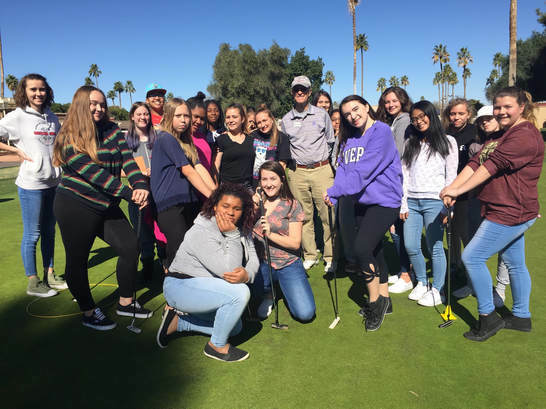 Through his organization, Golf Programs in Schools (GPS), Loegering has put successfully helped high schools implement golf programs in his hometown. The program has successfully exposed thousands of kids to the game of golf, and resulted in increased participation at his club with both young people and their parents. Since the beginning of the program, revenue is up 14%! GPS works because it goes beyond traditional entries to golf and finds ways to attract people who may not be aware of the game. Loegering discovered that he could provide affordable lessons to high school students, and inspire kids to learn about the game and its parallels between life. 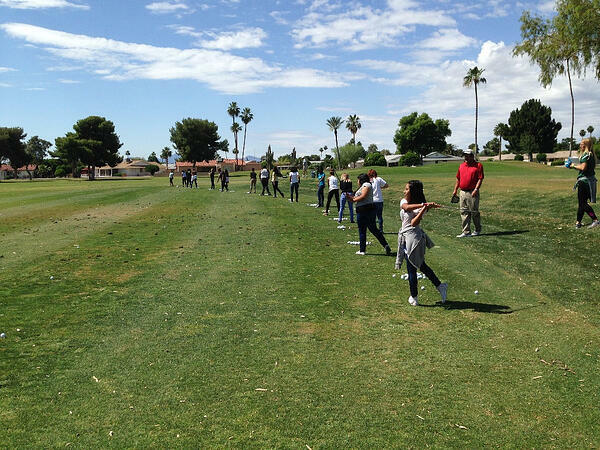 Why Do Golf Programs in Schools Work? The consequence of GPS' hard work is this: increased interest in play at Loegering's club, children asking parents to buy memberships, more young people playing the game and students encouraging other family members to take up the sport. It didn't happen by accident, of course, GPS offers discounts and free memberships to students under 18 if their parent purchases an adult membership. In the same way, two for one discounts are given to students and parents who come in to play a single round. To some golf managers, it may seem counterintuitive to give away a free membership, but this strategy is an effective way to increase participation at your golf course. However, these students are typically 15-17 years old and won't be eligible for free memberships for more than 2-3 years. Ultimately, one free membership given to a student equals one more paying adult. Offering free memberships means taking a longterm view and looking towards the future of the golf industry. For Loegering, it works because GPS consciously ensures that new players are building their relationships with golf on strong family bonds. Chances are very slim that the student is going to forget that special bond we create when playing round after round with mom or dad. After each class passes through his golf school he surveys the students to understand what they got out of the program and whether they will keep playing golf. In general he says that about 80% of students express interest in continuing with the game. How Can Your Golf Course Benefit? Golf courses can easily start a program like this by starting a relationship with schools in their area. It's not that difficult to email or call a local school superintendent with a business pitch and an outline of the benefits of playing the game. To make a business relationship like this work you'll have offer affordable lessons that fit the school's budget, and you'll have to get your staff on board with offering the extra lessons. At GPS, the program costs between $20-40 per student. Create a variety of programs aside from just gym class. Offer after school lessons, summer camps, or even plans for homeschool students. Most importantly, make sure that you create promotions that encourage kids to golf but also emphasize the need for family members to support. I'm a huge fan of GPS' two for one model for either memberships or single round play. Of course, it always helps when your CRM and Tee-sheet can quickly and efficiently create discounts and promote them online. Modern cloud software makes it much easier to track the longterm success of large initiatives such as these because of robust segmentation features and seamless reporting throughout the entire system. If you want to get young people and especially young women in this game, we need to start them early. That can only happen if we give children the opportunity to experience the game and learn its virtues. The lessons learned (and taught) by GPS are a prime example of how it's not as tricky as operators think to get thousands of kids interested in the game. If you're interested in what Tom Loegering is up to––right now the 80 year old is on a motorcycle trip across America to promote his new program––or, whether Golf Programs in Schools can help your golf course develop a school golf program, visit their website here.